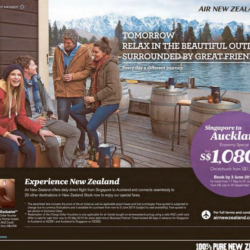 Experience New Zealand @ Air New Zealand offers daily direct flight from Singapore to Auckland and connects seamlessly to 20 other destinations in New Zealand. Book now to enjoy our special fares. 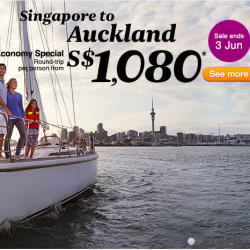 Relax in the beautiful outdoors surrounded by great friends at Air New Zealand offers Singapore to Auckland from $1080, till 3rd June 2015. Tomorrow explore the vivid colours of autumn. Every day a different journey. 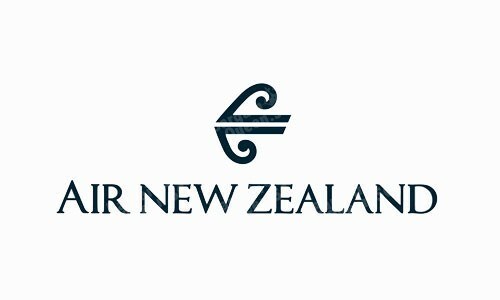 Air New Zealand flies direct from Singapore to Auckland, connecting customers seamlessly to 20 destinations within New Zealand. Travel on 19th April & 30th June 2015.